Roberts TechWorld: Using TDI/SDI to populate Profile Tags in IBM Connections 5. 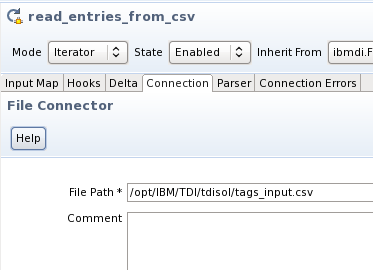 Using TDI/SDI to populate Profile Tags in IBM Connections 5. I have created this simple AssemblyLine to automatically populate tags on profiles in IBM Connections. This one works in IBM Connections 5.0, but haven´t tested it on version 5.5 yet. 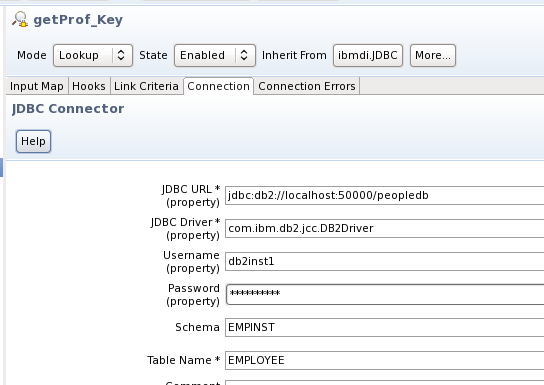 A JDBC connector in Lookup mode, which connects to the PEOPLEDB table named EMPINST.EMPLOYEE. 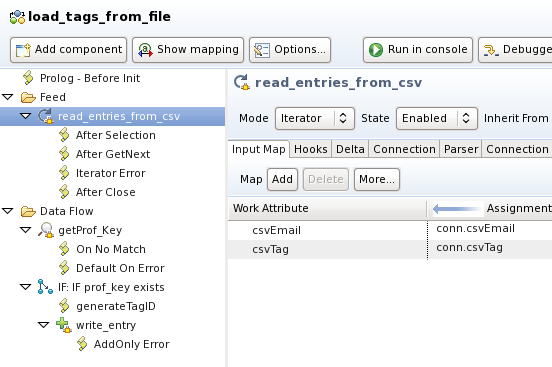 The Link Criteria is the mailaddress from the CSV file. 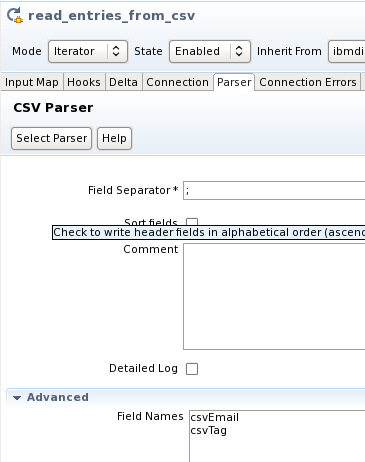 If this one matches with the PROF_EMAIL_LOWER field in the SQL Table, one work attribute is fetched from the table. This is the PROF_KEY attribute. 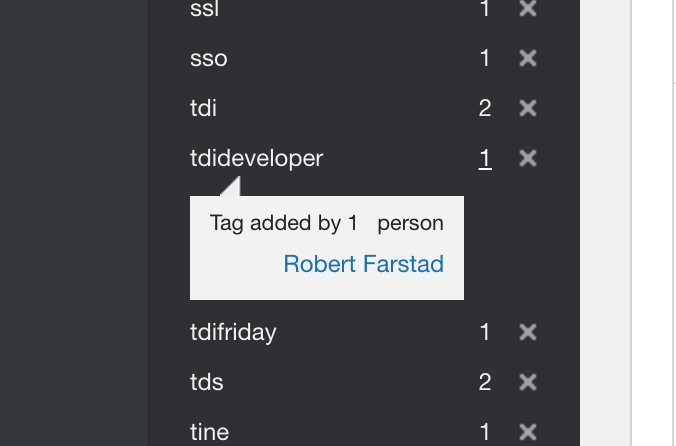 Then I write 4 fields into the EMPINST.PEOPLE_TAG table in the PEOPLEDB database. 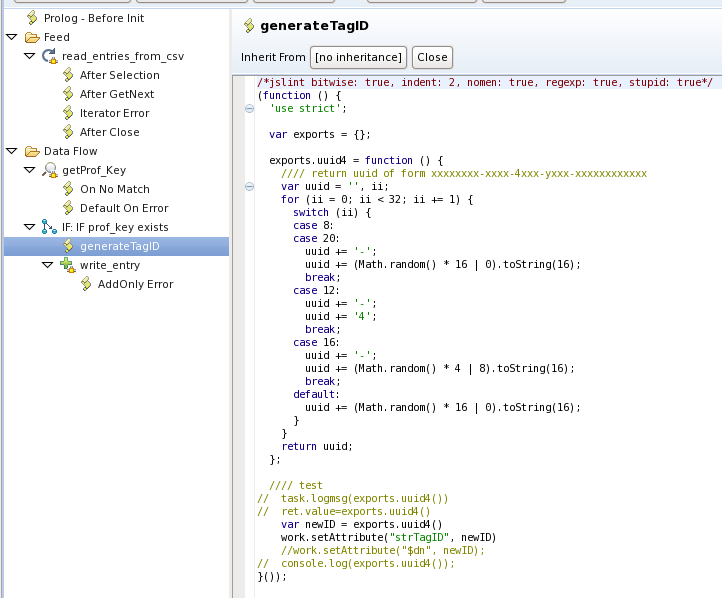 There are 2 other fields, which are disabled in the "write_entry" connector. 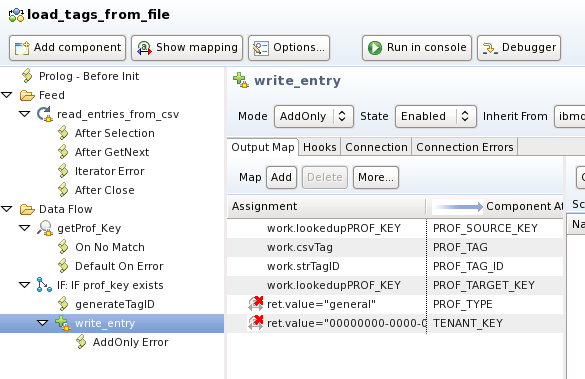 The fields are "PROF_TYPE" and "TENANT_KEY". 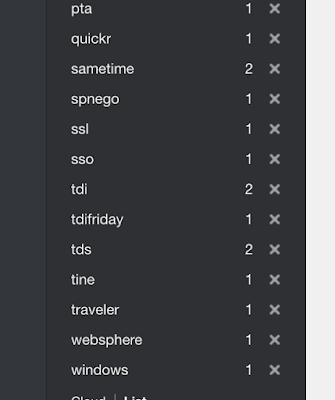 Those two fields auto-populate in the DB. This means that the AL does not have to worry about them. 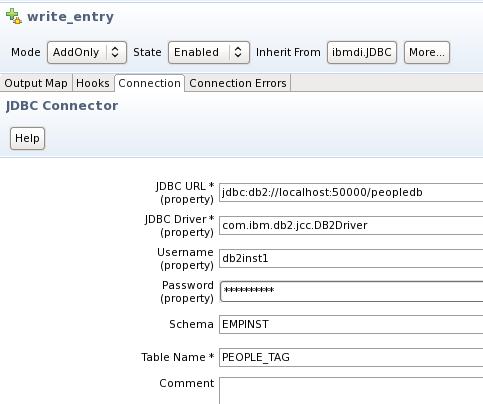 Here´s the JDBC Connector that writes the tag to the profile. The author of the tag is the user itself, which means that when TDI writes this tag, it says that I, myself created the tag. That´s where the field "PROF_SOURCE_KEY" and "PROF_TARGET_KEY" comes into play. The value of the fields are equal. As you can see, the connector is in "AddOnly" mode, and not in "Update" mode. I tested it, and running the same AL on the same csv file, where all the same tags are attempted inserted once more, only produces a small error message. I had no interest in running it in "Update" mode, checking to see if the tag already exists, and tagged by the user itself. This way the user gets a tag, by him- /herself, only.